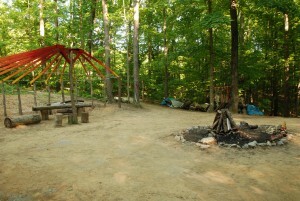 The Campground is 80 acres of meadows and woodlands nestled into the foothills of the Appalachian mountains. In addition to the natural beauty, it offers many wonderful amenities. The main stage is a covered performance area and amphitheater with a fully equipped sound booth and lighting. 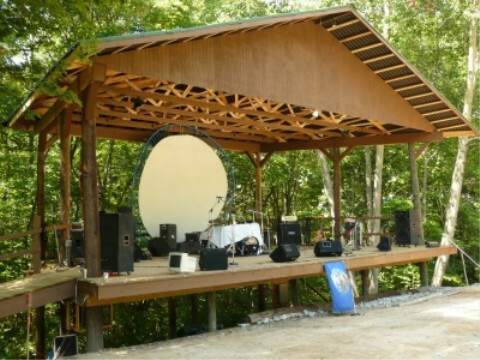 A centrally-located pavilion has a full commercial kitchen and coffee house, stage, snack bar, and seating for hundreds. 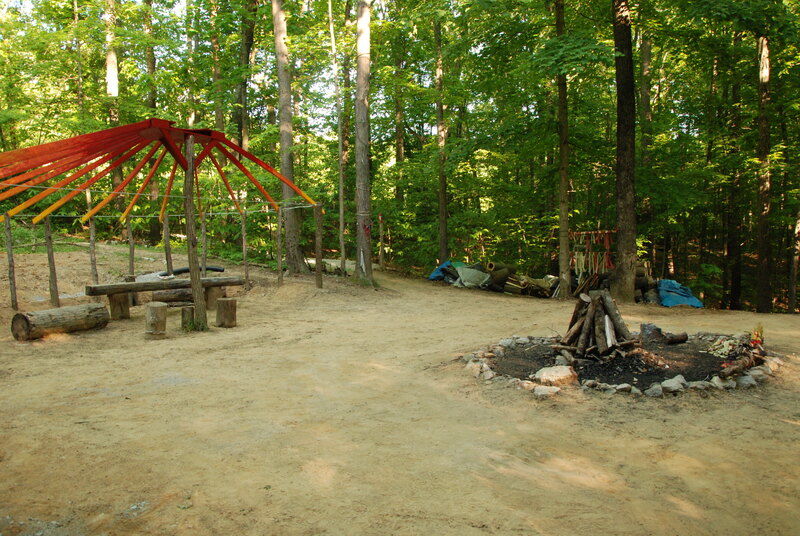 There are numerous unique forest spaces and sacred sites for workshops, gatherings, and celebrations. Some of our facilities include potable water spigots throughout the campground, hot showers, internet service, trash and recycling. Wisteria has nearly a mile of beautiful and peaceful forests and fields. Our hiking trails wind their way through old and new growth forests and down creeks and past ponds. There are many opportunities for hiking, bird watching and other outdoor pursuits. The campground includes a swimming pond with a beach area surrounded by trees. There are several sacred sites located throughout the campground, ideal for gatherings, ceremonies, workshops, or meditation. We welcome your stories about these spaces; please share via info@wisteria.org or post on Facebook. Wisteria Stone Circle is a gathering place with a stone ring and larger stone structures. Oak trees have been planted at the quarters and cross-quarter positions. As the campground is largely situated on a reclaimed strip mine, the growing oaks demonstrate new growth and healing for the land and visitors. In this open area, there is room for hundreds to gather. 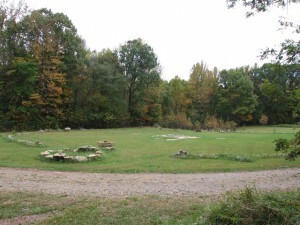 Stone Circle has a 125 foot (37.8 meters) inner diameter stone ring within a 140 foot (42.6 meters) outer diameter space. The inner circumference is 382 feet making each degree around the calendar about 1 foot long. 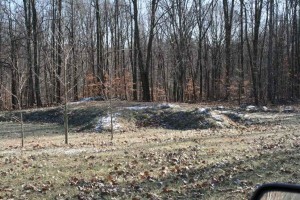 Begun in 1997, the Ancestor Mound was the first mound project at Wisteria. 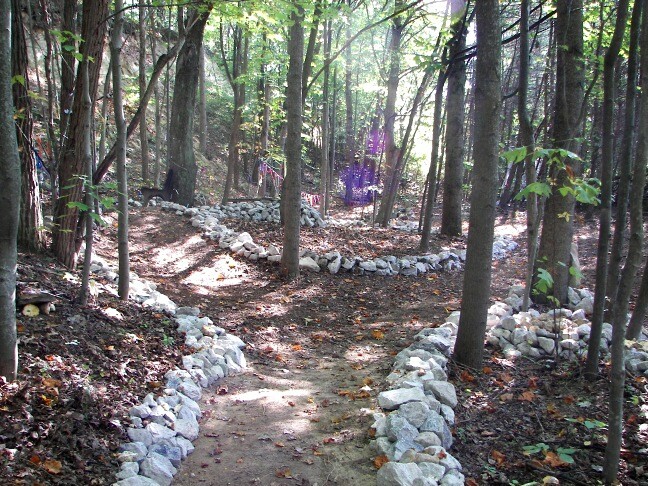 As Wisteria is located in an ancient Native American mound-building region, the Wisteria Community was very interested in constructing a modern mound. At the first Pagan Spirit Gathering held at Wisteria, Circle Sanctuary wanted to dedicate a place where people could leave offerings and Wisteria suggested a mound. The two organizations collaborated; Wisteria provided materials and logistics while Circle directed the ceremony to build the mound. Hundreds of people worked the soil mostly by hand and basket; it was a wonderful evening of sacred work. In addition to offerings, people starting burying ashes of departed loved ones in the mound. The mound was then called Ancestor Mound. Through the years, benches and a stone staircase have been added. 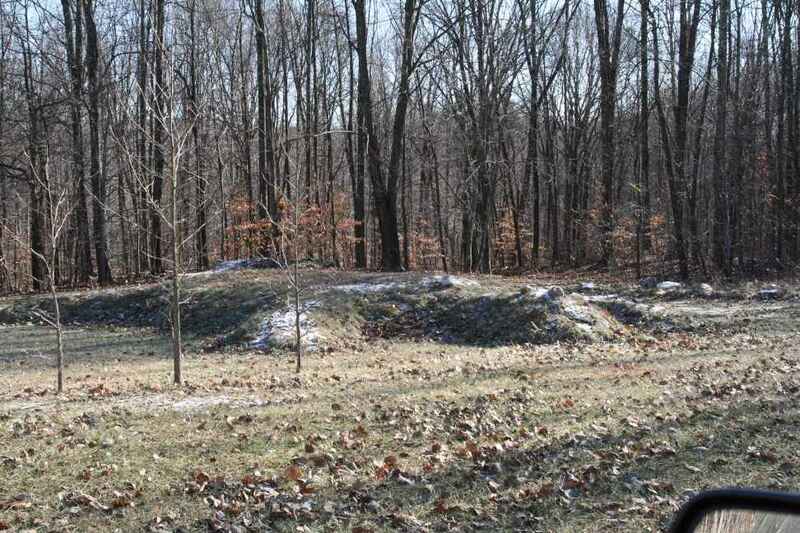 Ancestor Mound is now a site for ceremonies each year as well as a quiet place to sit and reflect. After the Ancestor Mound was built, Wisteria wanted to undertake a larger mound. Within two hours of this land lies the Serpent Mound, the largest effigy mound in the world. In honor of this ancient mound-building region, Wisteria Community decided to build a turtle effigy mound. 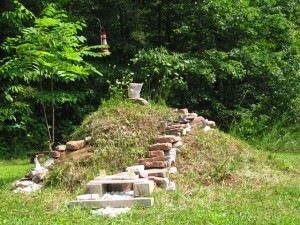 In collaboration with PSG (Pagan Spirit Gathering) and hundreds of guests over three summer solstices, Turtle Mound was constructed in a series of ritual work ceremonies. It contains many personal offerings, a prayer pole from the Harmonic Convergence Celebration at Serpent Mound and a ceramic heart made for the turtle. The Turtle is about 60 feet long (18.3 meters) from head to tip of tail and about 40 feet (12.1 meters) across. The head faces the Summer Solstice sunrise. Sweat lodges at Wisteria are coordinated by Doug Sundling with facilitators announced prior to events. Sundling’s ongoing relationship with the sweat lodge began in 1986. He brought the sweat lodge to Wisteria in its initial year of 1997 and has maintained the sweat lodge’s presence here. While there is no one way to conduct a sweat lodge, and no one tradition has a monopoly on the truth of the lodge, there are basic underlying principles that do not change. It is wise to listen and learn from others, yet, ultimately, the lodge teaches you what is appropriate for your relationship with it. This wisdom belongs to the sweat lodge experience and should be shared appropriately. Use discretion and exercise your own spiritual freedom. 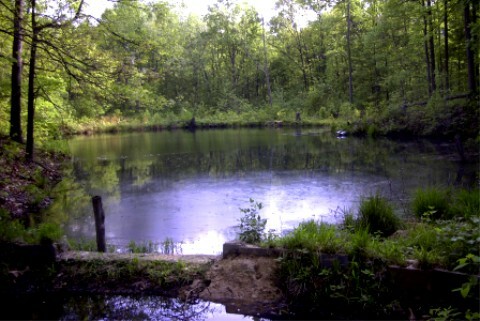 If you keep walking along the campground road past the swimming pond, you will come upon the park area of the campground. Nestled in the pines near Firefly Field is the enchanting Faerie Shrine. Established May 1997, the Wisteria Faerie Shrine was the first place at Wisteria dedicated for sacred use. The dedication was a simple ceremony with singing and stories and a few stones and crystals. Since then, thousands have journeyed to the Faerie Shrine to bring all kinds of treasures to leave for the Fey. The Shrine is also a working interactive outdoor art project with many statues, faerie houses, stone structures, paths, altars, chimes, and other contributions. A series of solar-powered streetlights gently lights the Shrine at night for an otherworldly feel. Wisteria Faerie Shrine is simply a must-see experience for all who love the Faerie Realm! If you feel inclined, bring offerings, chimes or other gifts. In the coolness of the Shrine, you can meditate a little, enjoy socializing, play like a child (or bring children! ), build faerie houses or just drift away in your imagination. Tucked into in a grove of Pawpaw trees is the Paw Paw Drum and Fire circle. In this clearing, the sound of the drums is naturally echoed and concentrated by the landscape. Paw Paw is often the heartbeat of Wisteria, and many people gather to dance and drum through the night and even into morning. The warm summer nights can bring forth owls and coyotes to join the song. A covered hemi-yurt provides shelter for participants and their instruments during the rain.